According to Yesawich Pepperdine & Brown/Yankelovich Partners National Travel Monitor, 64% of survey respondents expressed interest in all-inclusive travel pricing. All-inclusive pricing means air, transportation, accommodations, food, transfers and recreation. 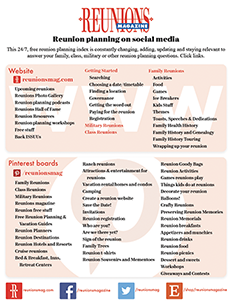 These are desirable considerations for your cruising reunion. In a Boston Globe article, Bella English suggests “cruising in the new millennium has become an intergenerational family affair, a perfect reunion venue with its something-for-everyone allure.” She points out that cruise ships are large enough so you can “hide from that annoying cousin or demanding in-law.” English, aboard the Holland America’s Ms. Maasdam from Fort Lauderdale, Florida, through the western Caribbean declared hers a successful family reunion with something for everyone. A nine-year-old boy adored the ship’s freedom, his unlimited soft drink card and the video game arcade. Teen girls liked the movies, after-dinner shows and island stops. The mother-in-law liked on ship and on shore shopping. Shore excursions were popular with everyone. Food is always an important cruise feature and available at all times. Pizza buffets, ice cream bars, afternoon tea and midnight smorgasbords are all in addition to the three squares that are always pretty ample by themselves. Give the kids a key, soft drink card and curfew and, according to English, everyone is happy. With prices dropping and the number of ships rising, it may be time you took a serious look at cruising. Cruise ships ideally don’t charge extra for meeting rooms, coffee breaks, food, or on-board entertainment. They are a very economical option. Here are a few tips. Know which ships can accommodate your needs. Book them far in advance – lock in the ship, if not the price. Watch the duration – cruise lines offer many different trip lengths. Consider inside cabins which are less expensive than ocean views and suites. Know the home base. Determine where reunion members are coming from before selecting a cruise destination. Airfare to and from the point of embarkation can significantly increase overall price. For instance, the majority of eastern and western Caribbean cruises leave from Fort Lauderdale and Miami, while southern Caribbean cruises most often leave from San Juan, Puerto Rico. Since it’s less expensive to fly to Florida than to Puerto Rico, consider a voyage east or west rather than south. Expose the extras. Shore excursions and tips can add up for participants. Make sure they know how much cash to bring for things not included in the price of the cruise. Negotiate group discounts. You can negotiate additional discounts the more cabins you reserve. Some cruises allow you to book eight cabins, double occupancy and offer the 16th cruise-only berth for free. While carrying medical information in case of emergency is always a good idea, it becomes more important if you’re traveling and particularly if you’re going to be cruising. Remind reunion members to pack medical history, blood type and other data to assist doctors. 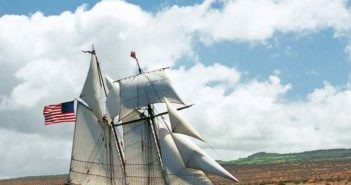 How about visiting a steamboat … or sailing on one, of course. But this one is available only for visits. The Julius C. Wilkie Steamboat Center in Winona, Minnesota, is the centerpiece of the town’s Levee Park. A 1981 fire destroyed everything but the paddle wheel and engines of the original boat but the town put forth the effort to restore their treasure. You’ll be met by the opulence of crystal and brass chandeliers, plush furniture and a grand salon resembling its glorious past. For Steamboat Center info call 507-454-1254. Always a helpful source of cruising information, we use The Shipboard Cruiser Newsletter (www.shipboardcruiser.com). 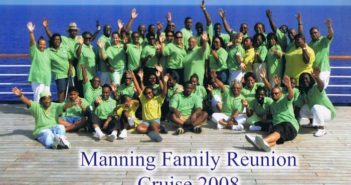 Some feel that cruises are a genuine vacation bargain; therefore, a pretty good deal for reunions! Experts declare they’ve never seen prices this low; $200 for three days, $600 for a week. And that includes all the food you can eat, onboard activities and your quarters. Add room, food and entertainment any place else to compare prices. The reason for bargains is fairly simple. During 2000 alone there were 14 new ships with a total of 35,000 additional berths. In addition 13, new ships were expected to be launched during 2001. That’s plenty of space for your reunion to consider. An abundance of cruise information is available; specialty travel agents; web sites and books. So it behooves you to do your homework. The one thing not included that needs careful planning are shore excursions. Your cruise line will offer very intriguing, interesting things to do and see in your ports of call. Make no decisions without asking lots of questions. You can usually receive excursion information before you leave and there will be introductory meetings onboard on your way to ports of call. Many cruise lines not only provide tours for various interests but also for different age groups so if there’s something your teens want to do that you’d not be caught dead doing, let them. On the other hand, you can consult brochures to figure out which things you might be able to do on your own. Hire your own taxi. Or best of all, walk the port area and make your own discoveries. Most ports have beaches which you can certainly get to on your own rather than buying a tour. Choices for cruises have never been better and it seems this is a time to seriously consider these special bargains. For information about cruising, a great resource is The Shipboard Cruiser. www.shipboardcruiser.com.